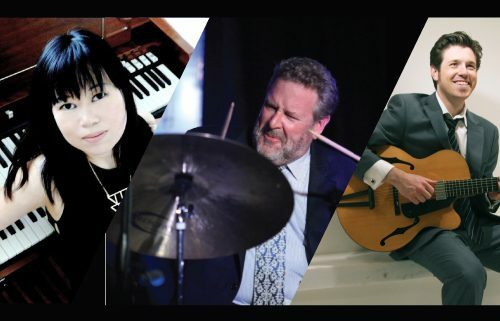 Among the top touring jazz trios in the nation, Akiko Tsuruga (organ), Jeff Hamilton (drums), and Graham Dechter (guitar), never fail to impress with high energy, innovative arrangements and world-class musicianship, always leaving rave reviews in their wake. Playing together for years, this ace trio combines the exceptional talents of three singular pros into a greater-than-the-parts amalgam of tasteful, creative, straight-ahead jazz. With palpable camaraderie, this trinity never fails to delight. Not ready for the party to end? After the performance each week, head over to the Vail Chophouse for the official after party, “Party On” with Kathy Morrow and friends, from 8:00 – 10:00pm. For reservations call 970.477.0555.